Baking Powder Substitute – What to Use? Baking powder is used in breads and cakes to add a bit of volume during the cooking process. It can also be referred to as a leavening agent. If you run out and are in need of a baking powder substitute then fear not as we have a list replacements to get you out of trouble. When looking for baking powder replacements lets first look at what baking is and what it does to your recipes during the cooking process. Baking powder in chemical terms is a mix of a base and an acid. The base is usually sodium bicarbonate and the acid is generally cream of tartar. It can also contain cornstarch. The cornstarch is used as a filler. 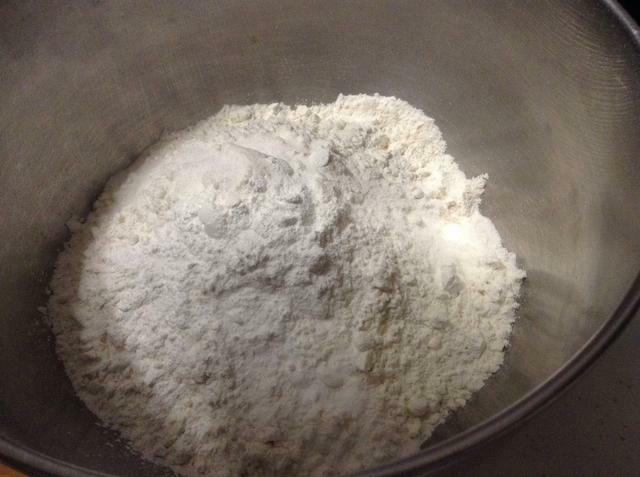 Baking powder is usually added to the dry mix before you add any liquids. When the baking powder is mixed with the water in your recipe it starts an acid/base reaction. This reaction will release carbon dioxide. The carbon dioxide release adds bubbles to your mixture. The bubbles help to add body and lift the mixture, giving it more volume and a lighter composition. As the cooking continues the bubbles continue to form and help to keep the bread/cake light and airy. As a general rule water is usually added to the mix last. This is to prevent the bubbles from forming too soon. If they were to form before being placed in the oven they cake may come out flat as the bubbles will tend to make there way to the surface and reduce the volume of the mix. There are two types of baking powder available. Single action and double action baking powder. As the name suggests a single action baking powder will only react once; when the liquid is added to the mix. Because of this as discussed above the liquid should be added last. A double action baking powder like a single action will have it’s first reaction when the liquid is added to it. The second reaction happens during the cooking process. The heat from the oven causes a secondary reaction. The double action baking powder can help to give you a much lighter, fluffier end product. Well you can either make your own as shown below or you can substitute baking powder with a few items that help to add a bubbling or rising affect to the mixture. Yeast can be a good baking powder alternative as it helps to form lots of bubbles and is used extensively in bread making to help make bread rise during. If you are going to use yeast as a replacement for baking powder then you will need roughly 1 teaspoons for every 2 cups of ordinary flour that your recipe calls for. The beauty of using self raising flour as a baking powder substitute is that self raising flour is actually just a combination of ordinary flour and baking powder. So it is already in the mix. The only real drawback is that if you need to increase the amount of baking in the self raising flour mix you can’t unless you add an alternative. Conversely if you wish to reduce the amount of baking powder in the mix you need only add more ordinary flour to reduce the ratio. Of course if you recipe is to be gluten free then it as not quite as convenient. All you need to do is to thoroughly mix the above as a dry mixture. Making sure to adjust the amounts to suit your needs. The above mix gives you the acid and the base and a bit of a starch filler.